The music video business is not what it used be and that’s no secret. 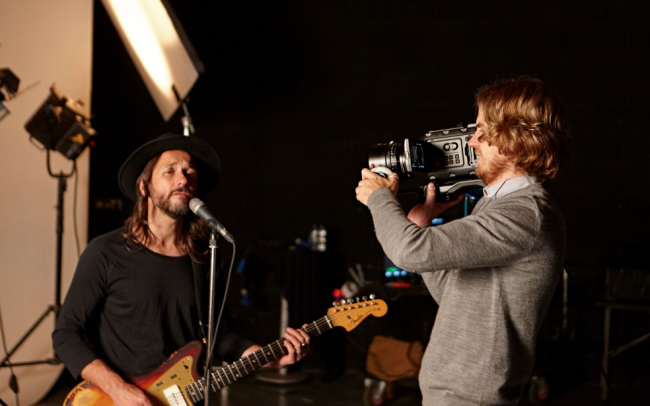 With ever shrinking budgets and increasing demands for slicker and glossier pop promos than ever before, cinematographers and music video directors are often faced with the challenge of picking the right camera for the job that will fit into the budget. 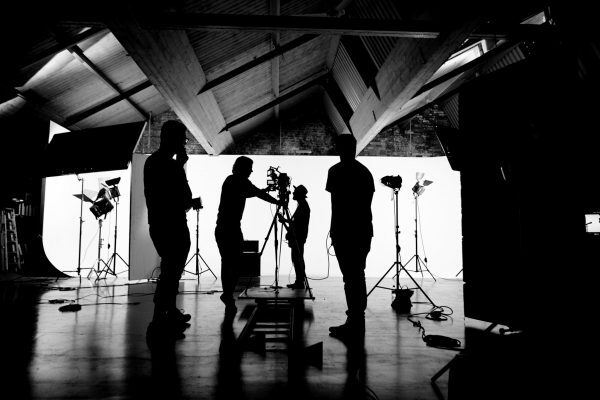 And while there’s still a very small portion of big budget music videos being produced – mainly for multi-platinum selling artists signed to big labels with deep pockets, where often the production scale for such music videos can sometimes rival that of entire feature films, more often than not a simple idea, beautifully executed, can deliver similar results with a “big budget, glossy feel“, while being produced on a much smaller budget. 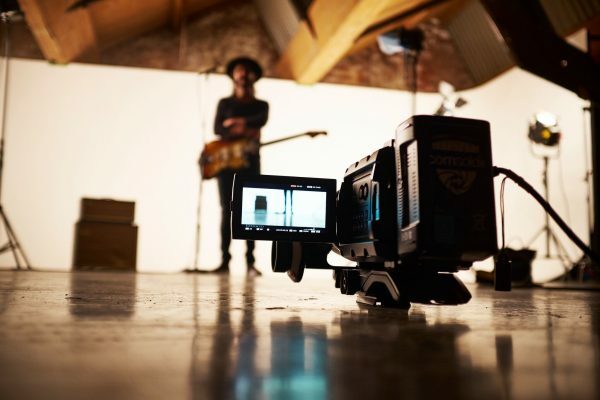 Filmmaker Ben Thornley of Sitcom Soldiers has done just this for Welsh rock band Feeder’s long awaited new single, Eskimo, combining a stunning silhouette shoot using the Blackmagic URSA Mini 4.6K PL with expressive geometric overlays made in post to emphasize the song’s epic drama. 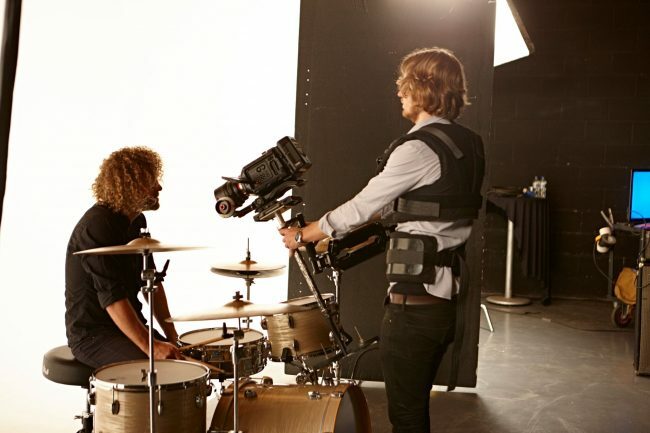 As the A-cam on the studio shoot, the URSA Mini 4.6K PL was used in a stripped back Steadicam set up, which was crucial to the un-intrusive feel Thornley needed to capture the band’s raw performances. 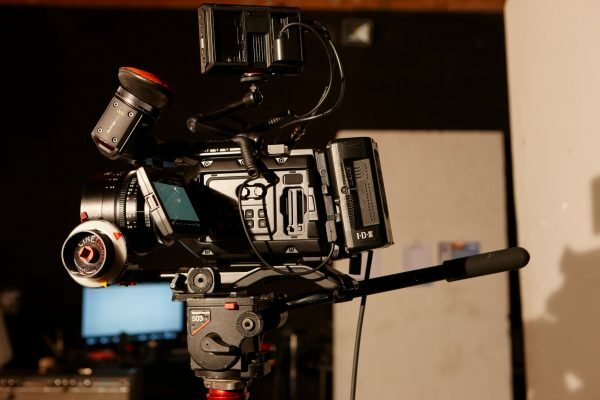 According to the filmmaker, the decision to use Blackmagic’s camera was made due to the URSA Mini’s excellent image quality and ease of use as well as its form factor and weight. To achieve the silhouette aesthetic, studio lighting during the shoot involved using several 2Ks bounced off poly board onto a cove to create a softer look.“This provided enough light to crank the shutter up,” Thornley explains. As well as the changing lighting, a variety of lenses were also used to give the silhouettes in the music video more texture, including a 35mm T1.5 Samyang XEEN cine prime, a wide-angle Tokina zoom, and a vintage Russian Helios 58mm lens from the 60s in conjunction with a prism. 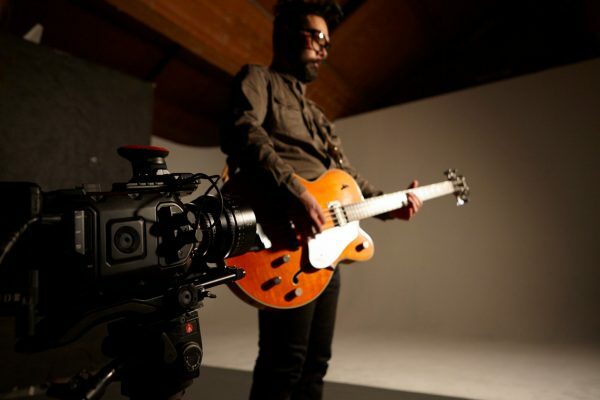 Adobe’s Premiere Pro CC was the NLE of choice for post work, and each shot was layered with extra textures and particles using After Effects to create the music video’s geometric overlays. Check out some more awesome behind the scenes photographs by Jon Shard from the music video shoot below. 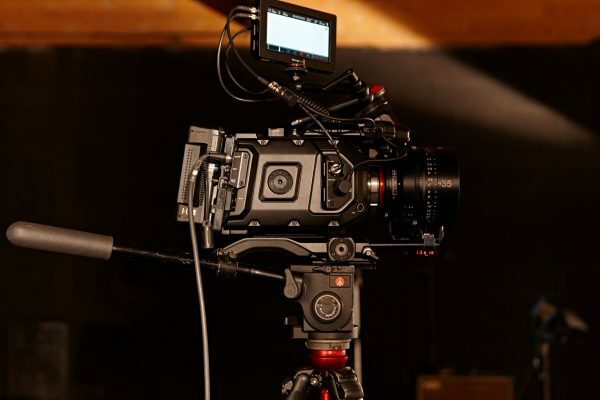 The URSA Mini 4.6K is now available from Blackmagic Design resellers worldwide such as B&H and Adorama, and the new camera OS (as featured in Camera Update 4.0) announced at NAB, complete with an improved user interface and better camera performance is now in public beta. Let us know what you think of this new footage in the comments below. I’m personally a big fan of the URSA Mini 4.6K and in case you want to read my “mini” hands-on review of the EF version of the URSA Mini 4.6K and see some footage I shot you can head over here and read this article.